A gorgeous gift set, ready to give. 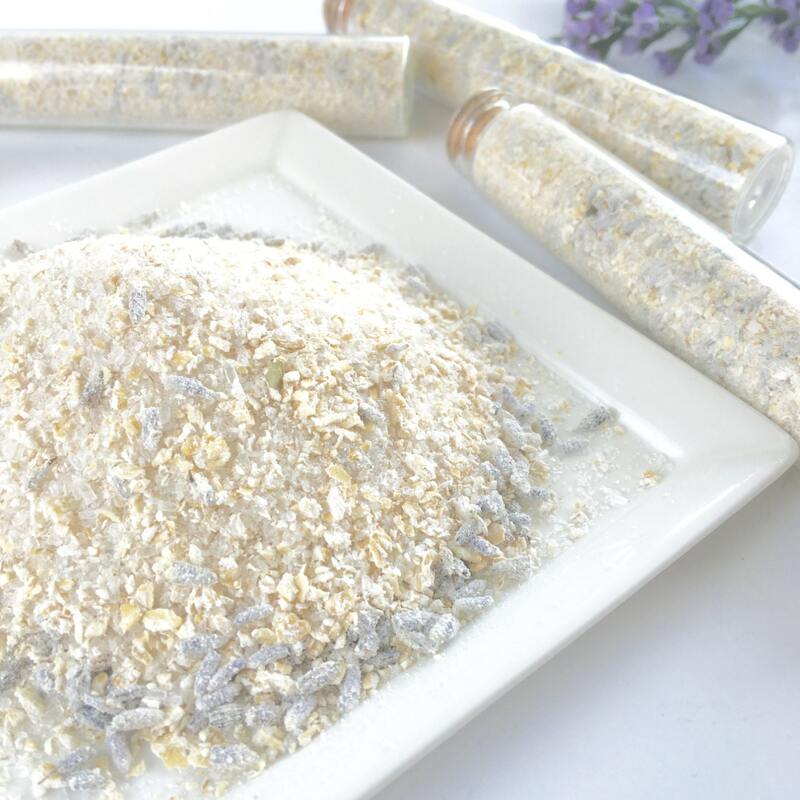 This oatmeal and lavender bath soak is packed with colloidal oatmeal, known to help soothe irritated skin. It works alongside herbal powerhouse lavender as both a dried botanical and essential oil infused into the mix. The epsom will help to pull toxins from the body while you relax in your bath and you'll step out feeling calm and refreshed. This gift set is packaged as a set of three single use tubes of bath salts, corked and dipped in wax. A pull string unwinds to release the wax over the cork and the entire contents of the tube can be poured directly into the bath water. This makes an excellent gift for loved ones or can serve as a thank you gift for teachers, secretaries, bridesmaids and more. But who are we kidding, you'll need one for yourself too!